Castle Hill Station in heavy winter snows. Castle Hill limestone rock climbing area foreground. 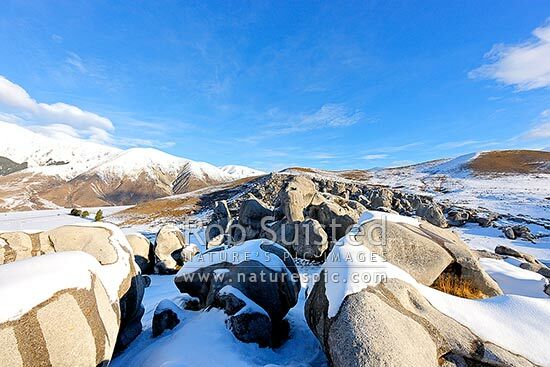 Torlesse Range left, Castle Hill, Selwyn District, Canterbury Region, New Zealand (NZ), stock photo.